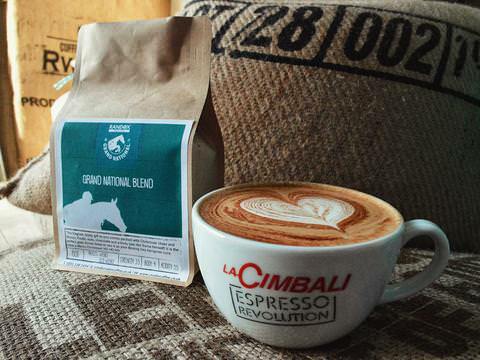 Crosby Coffee, the Liverpool based micro coffee roastery, has teamed up with La Cimbali to deliver award winning coffee at the 2018 Randox Health Grand National, the most valuable steeplechase in Europe which is taking place this weekend (12-14 April) at Aintree racecourse. A ten strong team hosting a pop up Crosby Coffee lounge on the Queen Mother Lawn within the Festival Zone will serve an exclusive 100% Arabica Grand National coffee blend, Belgian hot chocolates and speciality infused teas throughout the three day race meeting when spectators are likely to top 160,000. “Our relationship with La Cimbali goes back several years and I have always been extremely impressed not only by the quality and workmanship of the coffee machines but also by the barista training that we have received both here and at the MUMAC Academy, Elstree which has been invaluable," says Jack Foster, founder Crosby Coffee. “With excellent coffee blends and exceptional machine quality, the barista team have everything they need to deliver delicious coffee and we wish them all the best for race week,” says Mike.